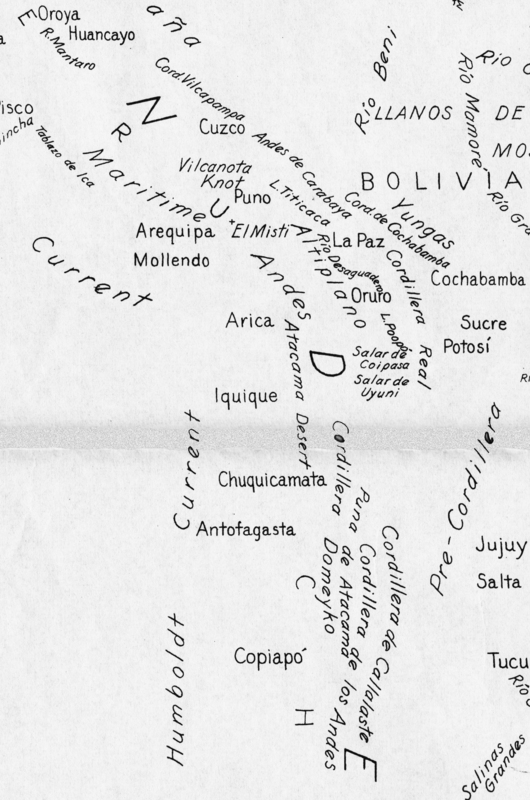 The beauty of words on maps is often not evident, embedded, as they are, in an array of other symbols. 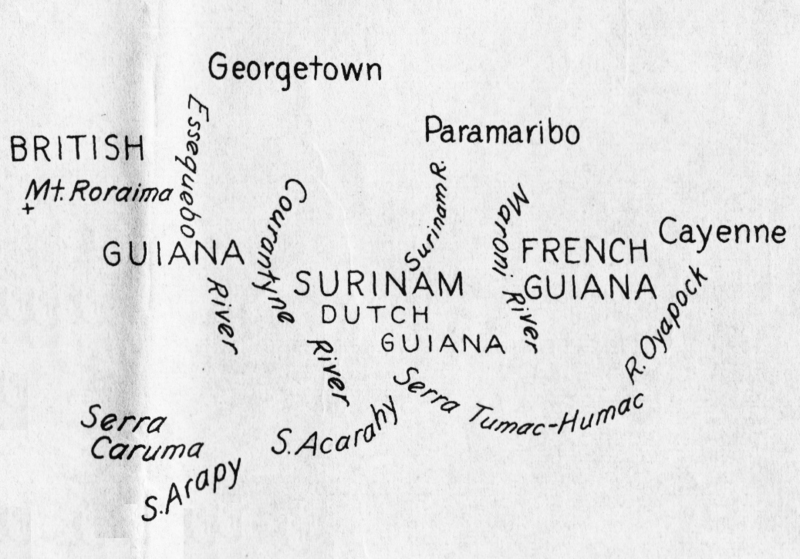 A “word map” of South America (above), published by the Geographical Press in 1935, consists entirely of hand-lettered words. 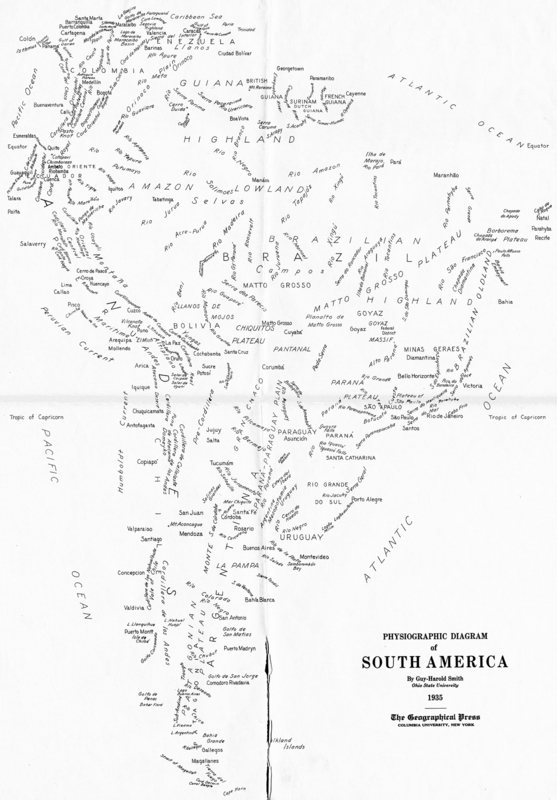 The map is supposed to show the labeled landforms of South America; this copy was erroneously printed without the landforms. The map is another find from the dusty old Departmental archives here at Ohio Wesleyan. 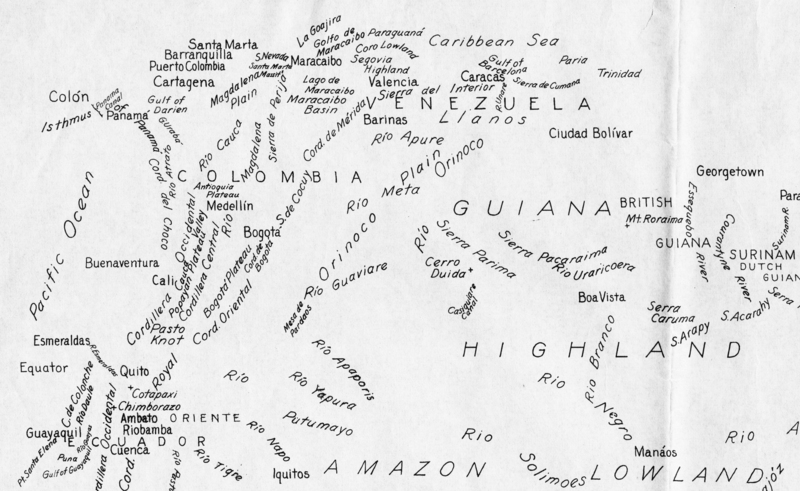 A few examples of “word maps” or “typographic maps” have recently popped up on the internets. 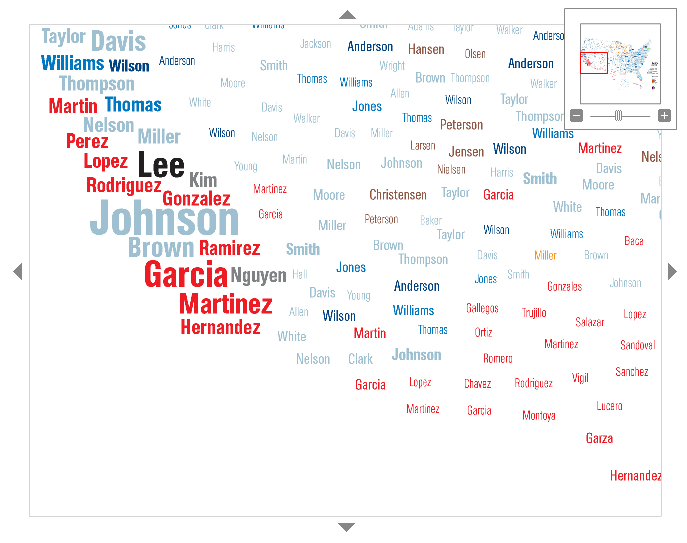 National Geographic’s What’s in a Surname (below) interactive map of the dominant surnames in different parts of the US (upper Midwest, and Southwest) reveal structure (the form of the US is evident) as well as meaning (variations in ethnicity across the US). 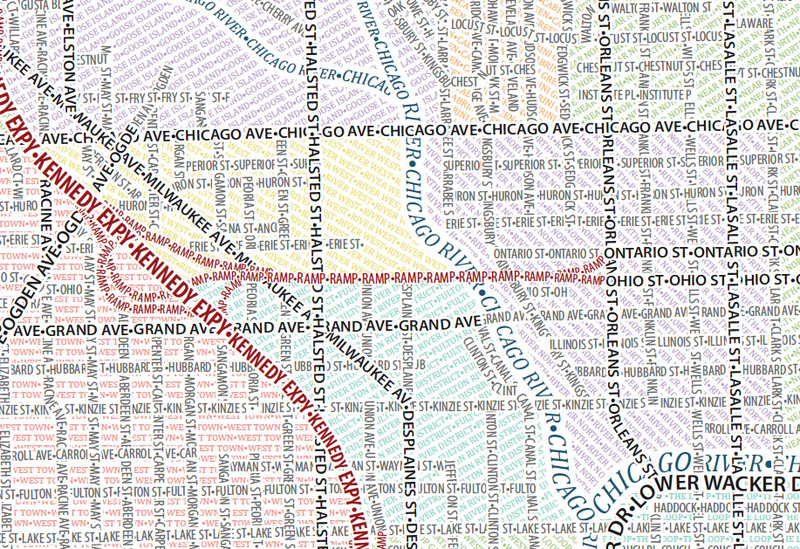 The Axis Typographic Maps use typography as line and area map symbols, providing a nuanced exposition of the geography of these places, the grid of Chicago or the meandering roads of Boston. Again, both meaning and structure are generated by words alone. Natural features are in the more flowing italics form; if referring to a point, they are horizontal, if they refer to linear or area features (rivers, regions) they are curved to fit the feature. 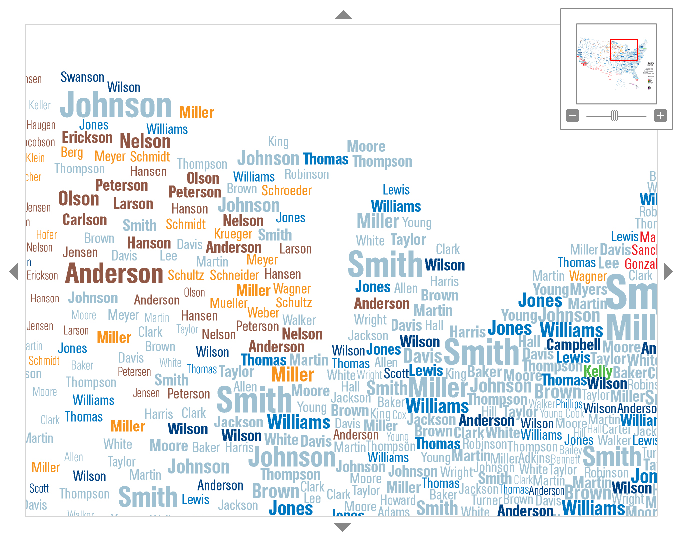 The size of the words varies – suggesting large areas, or places of more importance. Below find a few pages from the new (2nd) edition of Making Maps (2011) on type as a map symbol. 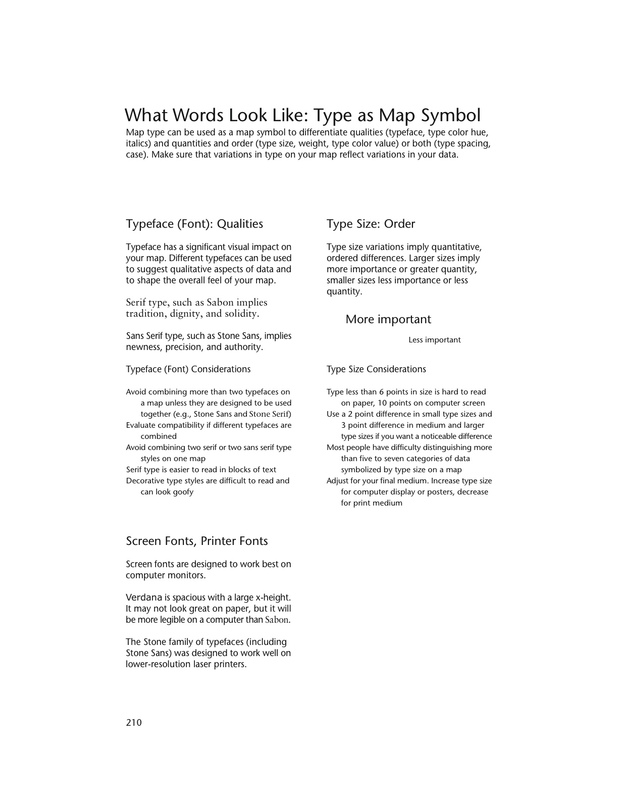 These pages show how typography can be used to express both qualitative and quantitative characteristics of the data they stand for on a map. 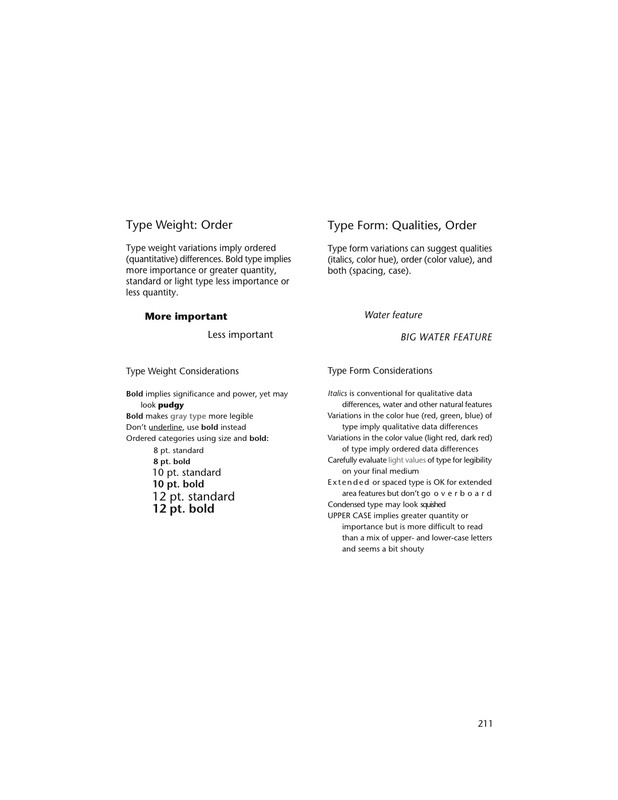 Typographic guidelines on these pages include typeface (font), type size, type weight, and form (including italics, roman, color, case, and spacing). Very cool post. I wish I had the time and tenacity to explore maps and mapping with you. One of the things I’ve always found interesting about cartography (and most non cartographers find somewhat paradoxical) is how much more complex a process placing type is than almost any other aspect of producing a map. 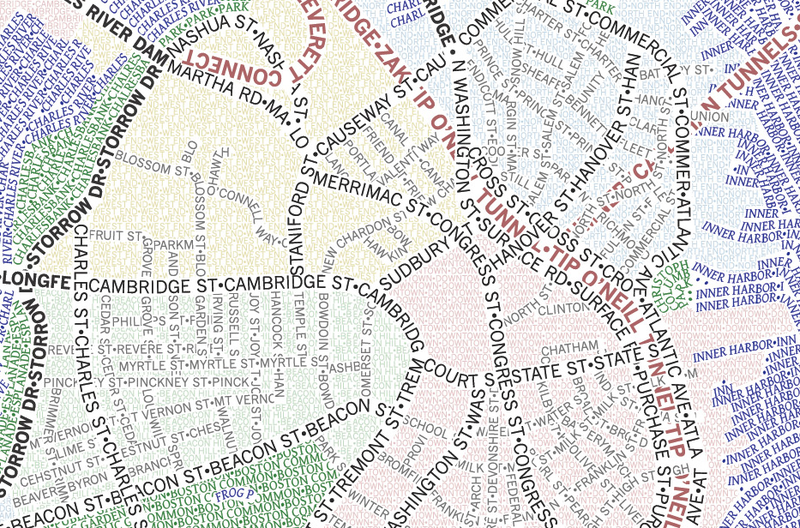 On crowded street maps type placement can be the most complex work done, having to find a way to properly and clearly place a large number of labels in a small area so they are all legible and do their job as description and symbol.